The 1948 Hudson Commodore 6 Four-Door Sedan sold for $3,025 and the Commodore 8 had a list price of $3,240. Prices for Canadians were f.o.b. Tilbury, Ontario. Few automobiles have ever generated the excitement that Hudson did with its sensational Step Down models. When introduced in the fall of 1947, they were absolutely radical in comparison to last year’s offerings. The smooth rounded body boasted melt-away fenders that were “absorbed into the body.” The side panel was “embossed with a speed line” that gave the impression of movement, even when the car was standing still. That delicious character fold also permitted two-tone paint jobs, of which five tasteful combinations were available. The 1948 Hudson Super 6 three-passenger Business Coupe sold for $2,865 and the five-passenger Super 6 Club Coupe listed for $3,059. 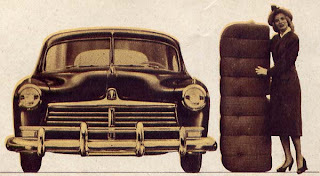 All Hudson cars were still imported from the United States in 1948 as the assembly plant in Tilbury, Ontario had yet not returned to automobile production after World War Two ended. Canadian Top and Body, Limited—the longtime owners who provided local assembly for Hudson and other automakers—had sold out to Chatco Steel Products, Limited, and negotiations were under way for Hudson to return to assembly in Canada. The federal government’s postwar tight money and balance of payment policies required American automakers to build or at least assemble cars in this country or face being shut out completely from the domestic and Commonwealth markets. Hudson officials would negotiate with Ottawa for another two years before the first car would roll out the doors in Tilbury on April 5,1950. Hudson production for 1948 began in Detroit on October 12, 1947, only 23 days after the last 1947 Hudson rolled off the lines. The short down time for the model changeover was an amazing feat considering that virtually all the machinery had to be changed, in order to manufacture the radically new cars. Frameless construction, dubbed Monobilt by Hudson, was new for 1948. Six passengers luxuriated in a sumptuous cabin surrounded by box girder safety. 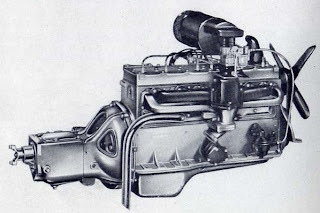 Engineers at Hudson had been experimenting with the application of aircraft manufacturing principles to automobiles since 1937. Airplanes were built with the frame and the body as a single, integrated unit. 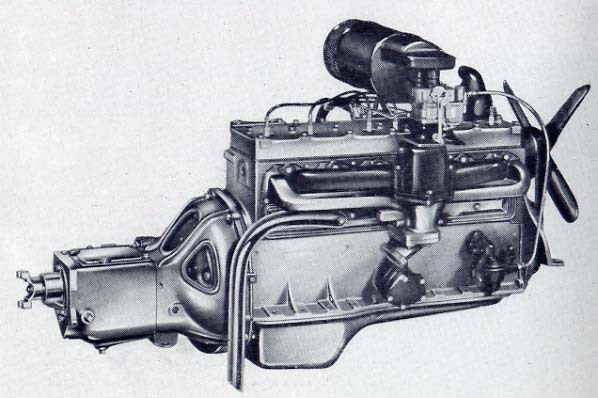 This year’s Hudson made use of those experiments in unit body construction, dubbed Monobilt by company wordsmiths. The low-slung Step Down 1948 Hudson was 77 inches wide and a mere 60 inches in height. CBC network star Don Messer owned one and travelled across Canada many times with it, his Islanders in tow. The result was a car only five feet in height. Salesmen delighted in showing prospective customers that the new Hudson was substantially wider than it was tall. With the cabin positioned so low in the steel envelope, there was no need for a running board. Passengers literally stepped down into the car to sit on seats that were protected by heavy, box-steel girdered protection. With the lowest centre of gravity on any production car, advertising boasted proudly that “Hudson’s new all-steel Monobilt body-and-frame cradles you so low, so snugly to the road, you get a feeling of serene smooth going unlike anything you’ve known before—a new world of motoring pleasure.” Low or not, Hudson still had a full eight inches of ground clearance, comparing favourably with other cars. It was also billed as the safest car on the road and the “car of tomorrow.” Despite a long 124-inch wheelbase, the turning circle was a nimble 20-foot radius. Listing for $2,801 f.o.b. Tilbury, Ontario, the 1948 Hudson Super 6 Brougham weighed in at 3,635 pounds. There were two series of Hudsons to choose from. The less expensive line was made up of a quintet of brilliant beauties. A three-passenger Coupe, a Convertible Brougham, Club Coupe, a Two-door Brougham and a four-door sedan, all carried the Super name. Advertising let everyone know that “This time it’s Hudson!” One look at the cabin was enough to persuade many to write cheques for the lovely automobiles. Interiors were beautifully tailored in Bedford Cord upholstery and set off with a dark walnut-colour instrument panel and matching window garnish mouldings. Hudson’s higher priced beauty was the distinguished Commodore line, consisting of a refined Four-Door Sedan, a Convertible Brougham and a 5-pasenger Club Coupe. Upholstery for Commodores was fine broadcloth, stitched over luxurious Airfoam cushions, in a choice of tan with green stripes or grey with blue stripes. Anyone ordering the open car had a further selection of three colours of leather and tops in three colours as well. Sedans were given robe rails with passenger assist handles each end. The sleek new 1948 Hudson debuted with the ultra-modern Super-Six engine. The 262-cubic inch mill was destined to become a racing legend. This year, in a departure from long-standing tradition, the hood was hinged from the firewall not the grille, alligator style. Under that hood was a brand new, high compression, L-head Super Six engine, rated at 121 horsepower. With a displacement of 262 cubic inches, it was the largest six-cylinder power plant in production. Not to be outdone, the optional Super Eight mill was improved too, now tweaked to 128 horsepower. 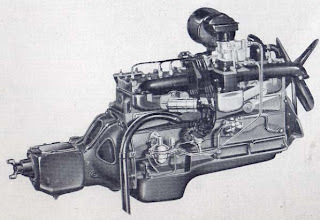 This big L-head motor promised to deliver the “smooth performance that only an eight can give, with unusual economy.” Both engines sent their power to the Silent Synchromesh three-speed manual transmission. The improved 1948 128-horsepower, L-head Hudson Super-Eight promised to deliver performance thrills. Long distance travel was the Hudson’s forte with its effortless ride in a cabin that had as much room as Casa Loma—well, almost. “Travel wherever you wish on the North American Continent, or even to the far ends of the earth—or cruise your own neighbourhood—you’re never far from the red, blue and white sign that identifies more than 3,000 Hudson authorized dear and distributor service establishments.” Approximately 400 of those dealers could be found in the Dominion of Canada. 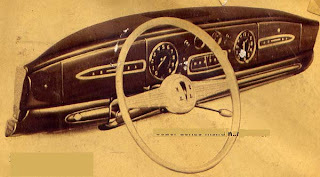 The classy automobile offered a number of unique features including non-rotating “trigger-operated” door handles, a safety hood lock that operated from the driver’s compartment and a hood emblem that shone in the dark. Instrument panel of the flagship Hudson Commodore featured Teleflash lights rather than gauges as well as an illuminated ignition keyway. The Hudson experience could be made even more pleasant with optional, dealer installed equipment that included ash trays, backup light, an automatic batter filler, a battery charger, a cigar lighter, an electric clock, an Auto Home Combination electric shaver, an emergency trouble light, exhaust deflector, a fire extinguisher, floor mats, fog lamps, front door ventilator wing shields, gasoline filter, locking gas cap—manual or automatic, a hub cap kid, a hydraulic jack, the Karvisor, the Kleenex tissue dispenser, the license plate frame, a locker box light and numerous mirrors. The 1948 Hudson Super’s instrument panel was modestly finished in a faux walnut look. One could also order an oil filter and oil filter cartridge, a pocket moulding kit, a radiator grille guard, a radio, radio antenna, rear seat speaker, a rear window wiper, a rear bumper guard, seat covers in custom or deluxe matting or upgraded seat covers in rayon tackle twill, a spare tire valve extension, a spotlight, an 18”steering wheel kit (for Super models), a Thermaster 8-hour bottle, a Thermaster portable refrigerator, an automatic trunk light, an under-the-seat heater, an automatic hood light, Vacumotive Drive, the Venetian Sun Shade for the rear window, the Weather Control heater and defroster, wheel trim rings, window vent shades and an automatic windshield washer. It would be a good year for Hudson but the competition would grow fierce in 1949 as GM, Ford, Chrysler and Nash crowded the field with their own their first post-war cars.